I honest to goodness am not sure what to say about this book. This had to be strangest, most far fetched storyline I have ever read yet I was trapped. I was pulled in and could not stop reading. I wanted to figure out who, what, where, why, how it happened, how it was occurring, and what was going to happen. I was sucked in. Similar to Regina Shen series by this author, “in control” population is a female dominant (no males) ran government. Because it is an “alien race” there were many far fetched ideas that were occurring paired with normal thoughts. It made for an interesting read, but at times; slightly confusing. Overall, I liked book. There was a lot of action, a lot of mystery, and definitely no lull in read. 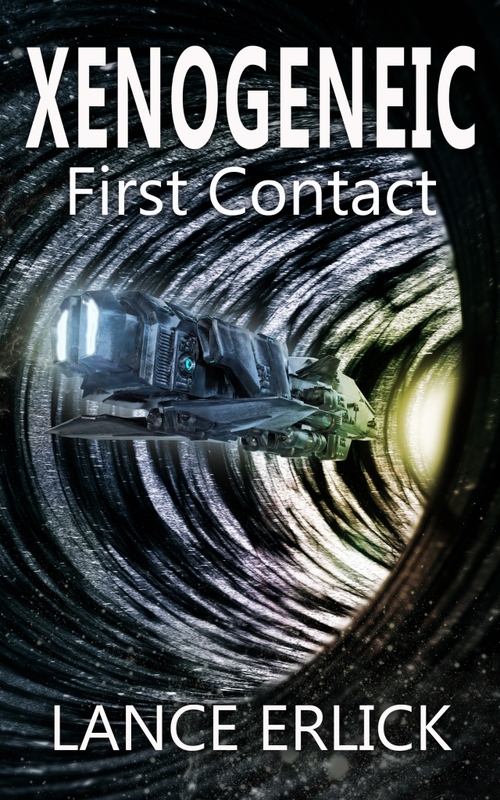 If you enjoy alien, sci-fi, out of our world story lines – this is one you will definitely need to read! This entry was posted in Science Fiction, Thrillers, Xenogeneic and tagged alien invasion, aliens, science fiction, survival, thriller by flwq1578. Bookmark the permalink.